Thank you to all our friends and supporters who joined us on October 5th, 2018 for our annual gala Amplify! A celebration of voices from the Amazon in San Francisco at Dogpatch Wineworks, an intimate venue in the heart of the vibrant Dogpatch neighborhood. Our special guest this year was Jeremías Petsein Peas, president of the Federation of Peru's Achuar Nationality (FENAP). The Achuar people offer an inspiring example of indigenous-led conservation, as they implement a detailed "Life Plan" which centers on the defense of two million acres of their ancestral rainforest territory. 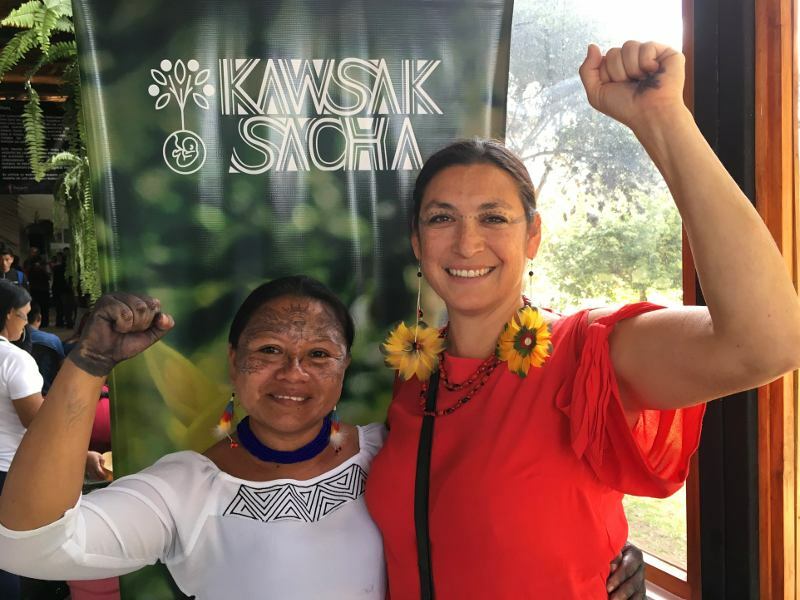 Amazon Watch has been a key strategic partner of the Achuar for over a decade, helping them to expel oil companies ARCO, Occidental, and Talisman Energy and keep their ancestral territories free of oil extraction. Couldn't make it? See below for some video and photo highlights and support our courageous partners in the Amazon by donating to help us take this work even further!